HomeBusinessCurrencies World – April 22nd , 2014 .. Currencies World – April 22nd , 2014 ..
Rupee hit a one-month low and posted its worst single-day fall since March 20, weighed down by good dollar demand from oil and gas importers and as tension in Ukraine kept global markets on the edge. Still, broader falls in the rupee were capped as domestic shares hit record highs, surpassing previous all-time highs hit on April 10, as banks rallied ahead of their financial results starting this week. Most emerging Asian currencies eased on Monday as an agreement reached last week to avert wider conflict in Ukraine was seen faltering, with pro- Moscow separatist gunmen showing no sign of surrendering government buildings they have seized. 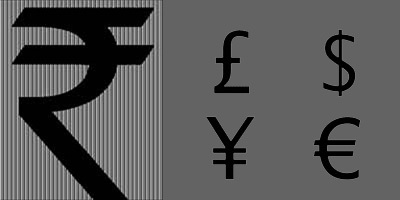 However, continued gains in shares could help support the rupee should they be backed by strong foreign buying. Net purchases of nearly $4.8 billion in shares so far in 2014 sent the rupee to an eight-month high of 59.5950 in early April. 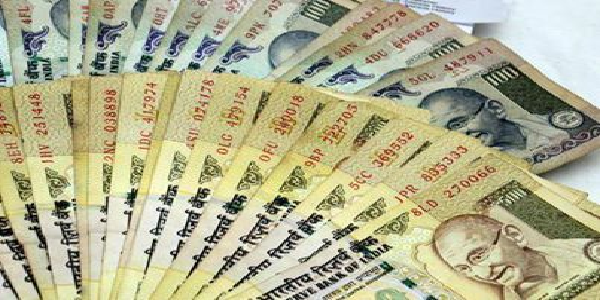 India’s foreign exchange reserves rose to $309.44 billion as of April 11 from $306.65 billion in the week earlier, the Reserve Bank of India said. Changes in foreign currency assets, expressed in dollar terms, include the effect of appreciation or depreciation of other currencies held in its reserves, the RBI said in its weekly statistical supplement. Technically market is under short covering as market has witnessed drop in open interest by -1.42% to settled at 234905 while prices up 0.15 rupee, now USDINR is getting support at 60.3475 and below same could see a test of 60.22 level, And resistance is now likely to be seen at 60.6275, a move above could see prices testing 60.78. Euro seen under pressure after recent comments by European Central Bank officials flagged concerns over the impact of the strong currency on the inflation outlook. ECB Executive Board member Yves Mersch said that if foreign exchange developments with an impact on inflation continue it would trigger a reaction by the central bank. Data last week confirmed a shock drop in March euro zone inflation to its lowest level since November 2009, keeping pressure on the ECB to intervene should prices not rebound. The Conference Board’s leading economic index for France declined in February, after increasing in the previous four months, data showed. The recent behavior of the composite indexes suggests that France’s economy is likely to moderately improve through the first half of 2014, the Conference Board said. The leading economic index dropped 0.3 percent in February, following a 0.4 percent increase in January, the think-tank said. In December, the index rose 0.3 percent. Greece’s current account deficit in February widened from a year ago, figures from the Bank of Greece showed. This widening in the deficit was mainly due to an increase in the income account deficit and, more specifically, higher net interest payments on the EFSF and IMF loans, the central bank said. Technically market is under long liquidation as market has witnessed drop in open interest by -10.34% to settled at 15527 while prices down -0.05 rupee, now EURINR is getting support at 83.41 and below same could see a test of 83.17 level, And resistance is now likely to be seen at 83.84, a move above could see prices testing 84.03. GBP seen supported as upside was limited after data last week showed that the U.K. unemployment rate fell to a five year low of 6.9% in the three months to February. The upbeat data bolstered expectations that the Bank of England could raise interest rates as soon as the first quarter of 2015. Official data showed the unemployment rate fell to a five-year low of 6.9 percent in the three months to February, down from 7.2 percent in the three months to January and below a forecast of 7.1 percent. The Office for National Statistics said total pay growth picked up to 1.7 percent in the three months to February when consumer prices also rose 1.7 percent. It was the first time since April 2010 that the pay growth rate did not lag the consumer price index, the ONS said. U.K. households’ sentiment on current and future house prices reached a record high in April, survey data from Knight Frank and Markit Economics showed. The house price sentiment index rose to 62.7 from 61.5 in March. Any reading above 50 indicates prices are rising. This was the thirteenth consecutive month that households reported a rise in property value. Technically market is under fresh buying as market has witnessed gain in open interest by 19.72% to settled at 12103 while prices up 0.235 rupee, now GBPINR is getting support at 101.5 and below same could see a test of 101.14 level, And resistance is now likely to be seen at 102.06, a move above could see prices testing 102.26. Yen weakened after data showed a wider than expected trade deficit for March and exports lagging. Japan’s March trade trade deficit widened to ¥1.446 trillion, compared to a forecast of ¥1.070 trillion, with exports up 1.8% year-on-year, compared to a forecast of a 6.3% year-on-year gain and imports rose 18.1%, with expectations for a 16.2% increase. An index measuring tertiary industrial activity in Japan was down a seasonally adjusted 1.0 percent on month in February, the Ministry of Economy, Trade and Industry said – standing at 100.6. The Japanese government downgraded its assessment of the economy for the first time since November 2012. In its monthly report released, the Cabinet Office said the Japanese economy is on a moderate recovery trend, while some weak movements are seen lately due to a reaction after a last-minute rise in demand before a consumption tax increase. The report said the private consumption is weakening due to the increase in sales tax to 8 percent from 5 percent. Bank of Japan Governor Haruhiko Kuroda reiterated that the bank will adjust its monetary policy when needed. The bank will continue with quantitative and qualitative easing to achieve the price stability target of 2 percent. Technically market is under fresh selling as market has witnessed gain in open interest by 5.34% to settled at 3233 while prices down -0.13 rupee, now JPYINR is getting support at 58.88 and below same could see a test of 58.72 level, And resistance is now likely to be seen at 59.16, a move above could see prices testing 59.28.